You know how sometimes a Bible verse just grabs you and you can't stop thinking about it? Well, that's been happening to me. "Those who look to him are radiant, and their faces shall never be ashamed" (Psalm 34:5 ESV). 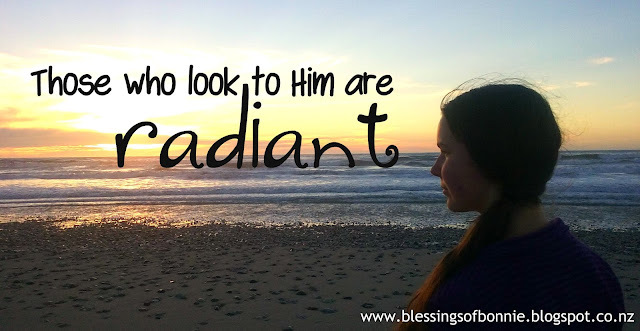 When I think of the section "Those who look to him are radiant" it makes me think of several things. Anyone who looks to Him is radiant. Therefore, Christians who look to the Lord and seek Him and desire earnestly to get to know Him are radiant. It says that they are radiant. Not that they will be in the future. But that they are now. Anyone who looks to God is radiant. The second thing that comes to mind is more of a question. Since the verse says that those who look to Him are radiant, it seems to me that I can take a magnifying glass to myself and do a 'radiance test' to find out whether I am looking to the Lord. Now that may seem to be a bit weird and complicated. But it makes sense to me. Bear with me and I'll see if I can explain it a bit better! I am seeking God. I want to know him better. I desire to know him better. Yet in the busyness of life and the things that come up, it's easy to get distracted from that. I'm sure you'd agree with me that distractions just creep in and come in the way. That's why it seems to me that a radiance test is helpful. You see, when I take a close look at myself and see things in my life that shouldn't be there, I know that I have some work to do. I have more seeking of God to do. I am not in Heaven yet therefore I'm still a flawed human being! Well let me be honest here, I should do that every time I do the 'radiance test'. I don't. I'm definitely working on it. And I'd like to encourage you to do the same. Since those who look to Him are radiant, when we see things in our lives that are definitely not radiant, we should look to Him. We should seek Him and come before His throne with repentant hearts! David, in the Psalms, encourages us to ask God to search us and try us. Why don't we look inside ourselves and let God look inside us more often? "Search me, O God, and know my heart! Try me and know my thoughts!" 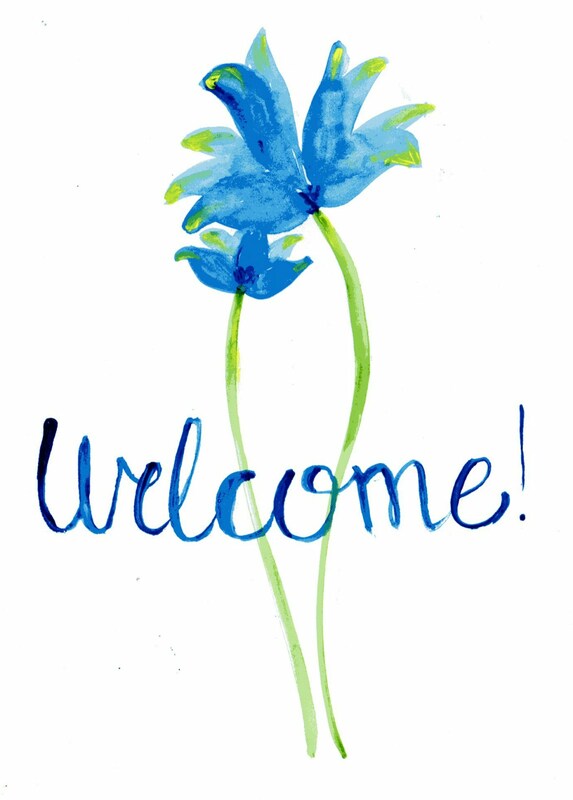 (Psalm 139:23). The Strong's definition of 'radiant' is so interesting. It comes from a primitive root that means 'to sparkle'. Isn't that so neat? Those who look to him are radiant. Sparkly. Bright. Cheerful. Lightened. And I think I'll leave it there! What have you been meditating on and pondering? You're welcome! I'm glad you appreciated it.